Teachers of all grades and disciplines often dip into their own wallets to outfit their classrooms with materials and supplies that school and district budgets can’t—or won’t—cover. Science teachers tend to find themselves supplementing their shrinking funds with even greater frequency. Chapters provide inexpensive alternatives to costly classroom projects, offer re-imagined uses for items teachers already have at home or school, and suggest new and untapped resources for materials. 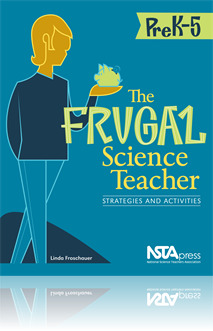 Even more important than offering ideas for frugality, the activities and strategies—such as “String Racers,” “Discovery Bottles,” “ Ecosystem Jenga,” and “An Outdoor Learning Center”—enhance teachers’ abilities to develop their students’ conceptual understanding. A comprehensive list of the many free resources available from the National Science Teachers Association is also included.